The increasing awareness of and support for green initiatives is easily one of the most significant trends currently ongoing. People from all walks of life are reaching a consensus that environmentally friendly policies and practices are absolutely essential in order to combat global warming and all of the damage it may bring. These green initiatives take many forms. In some cases, companies are taking drastic action to curb their carbon footprints. In many others, though, businesses are instead trying to embrace green strategies by making modest changes to how they operate on a day-to-day basis. Little alterations in this capacity can have a big impact overall. 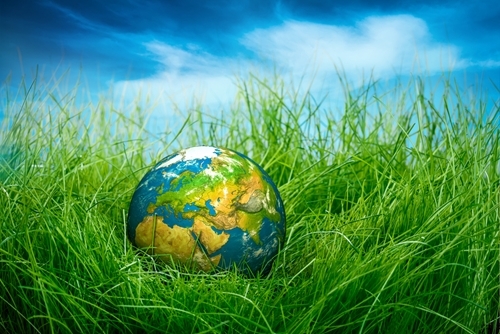 Green printing strategies are an excellent example of this approach. By following best practices in this area, firms can do their part in making a greener Earth, all without compromising their business operations. First and foremost, business leaders need to establish green-centric priorities for their employees in all areas, including printing. There's no way for a company to actually embrace effective green strategies unless the entire workforce is on board with these efforts. Going green should be incorporated into the business's overall values, and made clear to all who will be affected. If, on the other hand, the firm makes only a vague or low-visibility commitment to green printing and other environmentally friendly strategies, then it's unlikely that these new initiatives will yield any real results. At the same time, though, company leaders need to be realistic and reasonable when it comes to green printing. For one thing, these decision-makers should recognize that paper consumption is not the end-all and be-all for green initiatives. For example, as a Demand Media piece for the Seattle Post-Intelligencer noted, in the United States reforestation efforts over the course of the past half century have made significant strides toward recouping the losses caused by deforestation in the years prior. Naturally, this is great news for environmental advocates. It also highlights the fact that cutting down on printing is certainly not the most important issue when it comes to going green – not even close. This doesn't mean it shouldn't play a part in broader green initiatives, but there's no reason for business leaders to radically change their approach to printing in the name of environmentally-friendly policies. This goes for employees, as well. The Huffington Post contributor Jonha Revesencio recently provided a guide for printer etiquette in the workplace. One of the writer's recommendations: Don't be the "'Go Green' Guy/Girl." What Revesencio meant was that some people become so impassioned on the topic of reducing printing and waste in general that they will resent colleagues who use the printer, and will quite possibly offer lectures to anyone they feel is not doing enough to go green. While this individual may mean well, their priorities are seriously misguided, and they will add negativity to the office without doing much good in terms of improving the company's environmental impact. As this blog has covered before, printing is an essential component of just about any company's workplace. That being the case, there's no way for firms to eliminate or even greatly reduce the number of pages they print without hampering their operations and employees' productivity. Still, there are steps that companies can take to improve their overall "greenness" in terms of printing. In fact, a recent survey of Italian small to medium-sized business owners found that more than one-third were interested in more environmentally friendly printing, according to SME Web contributor Mark Robinson. One of the best options in this area is double-sided printing. In that same survey, 56 percent of respondents pointed to double-sided printing as a way to make their printing efforts greener overall. In many cases, a two-sided sheet will be just as useful as a single-sided document, while obviously using less paper. Over time, the number of pages saved can add up quite significantly. In a similar vein, green printing initiatives should include a significant emphasis on the need to recycle. Recycling is obviously an important aspect of the worldwide movement toward more environmentally friendly behavior. Recycling is particularly important in the context of printing. Many employees in a given firm will already recycle documents automatically when they are no longer needed. However, to make this tendency company-wide, business leaders should make recycling a requirement, rather than a recommendation. This policy needs to be partnered with security concerns, though, to ensure that paper containing sensitive information is shredded, rather than dropped off in a recycling bin. Finally, businesses should embrace minor adjustments to their document creation efforts to achieve greener printing. Simple steps like using smaller fonts, reducing the spacing between paragraphs and other small adjustments can accumulate over time to make a company more environmentally friendly when it comes to printing.